D.A. Kozma Jewelers of West Ocean City is having an Easter Contest! Open to ALL ages, WINNER will receive a pair of diamond earrings. 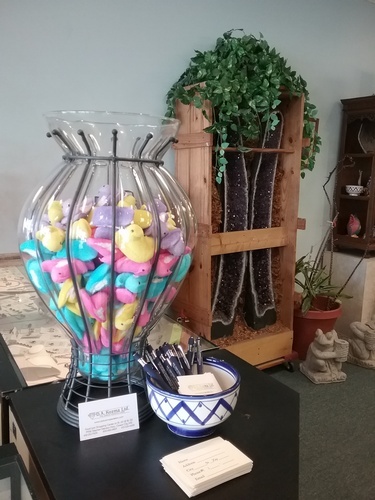 Just come to our store and check out our giant vase of Peeps. make your guess as to how many Peeps are in the vase, drop your entry and wait to be called when you win. The contest will run through the Easter Holiday. Participants DO NOT have to be present at the drawing to win. Everyone is welcome to join in on the fun!